The texture file for this look is not currently attached to this model, but would work perfectly if copied to it. We include it here out of interest. 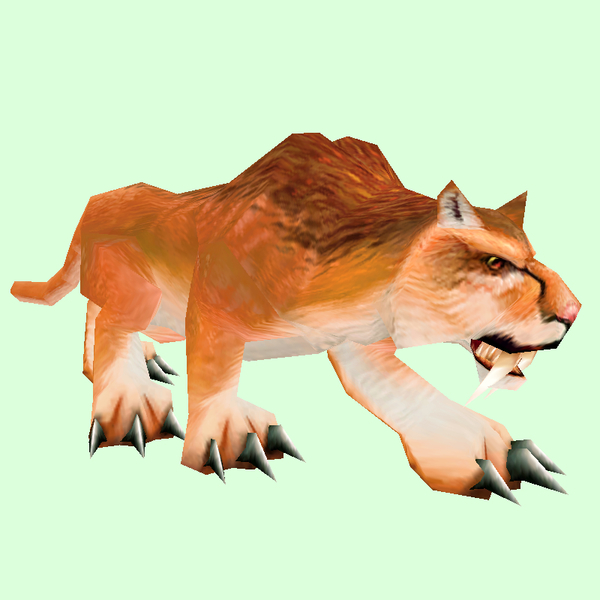 The texture's current location in the game database is: Creature/frostsabre/ridingtigerskinbrownnosaddle.blp. This is one of the few saber cat colours not yet available on the basic cat model. It's slightly redder than the "TigerSkinBrown" texture that already exists on the basic cat.